Marton is a town in the Rangitikei district of the Manawatu-Wanganui region of New Zealand's North Island. It is situated 35 kilometres southeast of Wanganui and 40 kilometres northwest of Palmerston North. Ngati Apa are tangata whenua for the Marton area. The town of Marton is the largest in the Rangitikei district, and began life as a private township in 1866, when shop and housing sections were sold at auction by local land owners. At the time of the 2013 census, the town had 4,548 residents. Marton has always been a service town for the fertile farming region of the Manawatu Plains. Butter, wool, and flour have been among its agricultural products. The arrival of the railway in 1878 led to rapid growth in the area, which soon added industries such as engineering, sawmilling, and textile production to its economy. For three years the small village was known as Tutaenui, named after the stream running through its centre. In 1869 local citizens changed the name to Marton to honour the birth place of Captain James Cook in Middlesbrough, marking his landing in New Zealand exactly 100 years earlier. It is not known if this change of name was influenced by the mistranslation of 'tutae' (meaning 'dung') and 'nui' (meaning 'large'). (Actual translation: 'tu' -stand, 'tae' -arrive, 'nui' big; i.e., a 'big gathering'). From the start Marton was an ideal supply centre for district farmers, who first began arriving in the early 1850s. From butter and wool they moved on to growing wheat in 1863, and big crops led to three flourmills being launched in the area in 1864. After the town itself opened up in 1866, general stores, two hotels and several blacksmiths soon started. Marton became a home base for the horse industry, with saddlers, wheelwrights, livery stables and coachbuilders competing for business, while Clydesdale and Suffolk Punch sires toured the district to build up the population of plough horses needed as new farms sprang into being. The opening of the railway line joining Wanganui to Palmerston North in 1878, now part of the North Island Main Trunk railway (towards Palmerston North and Auckland) and the Marton - New Plymouth Line (towards Wanganui), turned Marton Railway Station into a thriving railway junction, and it held that position for the next 100 years. Timber from Rangitikei forests served the town’s two timbermills, the first from 1889 onwards. Industry developed quietly at first in Marton, starting with flourmilling, brickmaking and wool presses. By the late 1950s there was an incredible array of industries and factories in action. They turned out products as diverse as men’s shirts, tractor safety cabs, soft drinks, vegetable salads, readymix concrete, field tiles, dog biscuits, knitwear, dried peas, electronic petrol pumps, vegetable digging machinery. 9 km from Marton was the large Lake Alice Hospital for psychiatric patients, which opened in 1950 and closed in 1999. It included a maximum security unit, and housed hundreds of patients during its 49 years of operation. Rangitikei District Council offices on 46 High Street, Marton. The current Mayor of the Rangitikei District is Andy Watson. Marton is served by four ward councillors on the Rangitikei District Council; these are Cath Ash, Nigel Belsham, Dave Wilson and Lynne Sheridan. All were elected at the 2016 local elections and are due for re-election in October 2019. Marton is located in the general electorate of Rangitīkei and in the Māori electorate of Te Tai Hauāuru. Rangitīkei is a safe National Party seat since the 1938 election with the exception of 1978–1984 when it was held by Bruce Beetham of the Social Credit Party. Since 2011 it is held by Ian McKelvie. Te Tai Hauāuru is a more volatile seat, having been held by three different parties since 1996, i.e. New Zealand First, the Māori Party and the Labour Party. Since 2014 it is held by Adrian Rurawhe of the Labour Party. Marton has six primary schools and two secondary schools. Huntley School is an Anglican boarding school; it has a roll of 134. Other primary schools include James Cook School, Marton Junction School, Marton School, South Makirikiri School and St Matthew's School. Nga Tawa Diocesan School, formerly known as Wellington Diocesan School for Girls, is a state-integrated Anglican girls’ boarding school; it is a decile 9 school established in 1891 with a roll of 228 students. Rangitikei College is a coeducational state school with a roll of 263 students. Until 2016 there was a third secondary schools, Turakina Māori Girls' College. Marton had a population of 4,548 according to the 2013 New Zealand census. This is a decrease of 132, or 2.8 percent, since the 2006 census. There were 1,920 occupied dwellings, 198 unoccupied dwellings, and 3 dwellings under construction. Of the residential population, 2,169 (47.7%) were male compared to 48.7% nationally, and 2,376 (52.2%) were female, compared to 51.3% nationally. The town had a median age of 44.0 years, 6.0 years above the national median age of 38.0 years. People aged 65 and over made up 22.5% of the population, compared to 14.3% nationally, and people under 15 years made up 20.2%, compared to 20.4% nationally. Marton's ethnicity is made up of (national figures in brackets): 76.5% European (74.0%), 22.8% Māori (14.9%), 1.9% Asian (11.8%), 7.8% Pacific Islanders (7.4%), 0.1% Middle Eastern, Latin American or African (1.2%), and 2.0% Other (2.5%). Marton had an unemployment rate of 8.9% of people 15 years and over, compared to 7.4% nationally. The median annual income of all people 15 years and over was $21,500, compared to $28,500 nationally. Of those, 46.8% earned under $20,000, compared to 38.2% nationally, while 13.8% earned over $50,000, compared to 26.7% nationally. Marton used to be serviced by the North Island Main Trunk (or Overlander), a railway line connecting Auckland and Wellington. However, in 2012 the Overlander was replaced by the Northern Explorer, which has fewer stops and does not stop In Marton. The nearest airports to the town are Whanganui Airport, located 37 km west, and Palmerston North Airport, located 44 km southeast. Both airports are domestic only. Marton's climate is temperate and has few extremes compared to many parts of New Zealand. Summers are warm with average temperatures in the low 20s. The most settled weather occurs in summer and early autumn. Winters are mild and annual rainfall is moderate. Annual hours of bright sunshine can average over 2,000. Marton has four sports clubs: Marton Cricket Club, Marton Rugby and Sports Club, Marton Bears Rugby League Club and Marton United AFC. Melody, Paul (1981) . They called it Marton: The Life and Times of Marton, 1866-1979. Palmerston North: G.P.H. Print. ^ "New Zealand Census 2013". Statistics New Zealand. Retrieved 15 April 2015. ^ Melody 1981, pp. 1-4. ^ Wallis, Anna (14 October 2013). "Watson wins Rangitikei chain". Wanganui Chronicle – nzherald.co.nz. Retrieved 1 February 2016. ^ "Councillors". Rangitikei District Council. Retrieved 1 February 2016. ^ "Local Electoral Act 2001". Parliamentary Counsel Office. Retrieved 18 September 2013. ^ "Find my Electorate". Electoral Commission. Retrieved 1 February 2016. ^ "Rangitīkei Electorate Profile". New Zealand Parliament. 30 September 2012. Retrieved 1 February 2016. ^ "Te Tai Hauāuru Electorate Profile". New Zealand Parliament. 30 September 2012. Archived from the original on 10 March 2016. Retrieved 1 February 2016. ^ "Rurawhe, Adrian". New Zealand Parliament. 4 December 2015. Retrieved 1 February 2016. ^ a b "New Zealand Schools – Directory Information". Ministry of Education. Retrieved 1 February 2016. ^ Wilkie, Kelsey (26 November 2015). "Turakina Maori Girls' College closed due to multiple failures, minister says". Stuff.co.nz. Retrieved 1 February 2016. ^ Wilkie, Kelsey (25 November 2015). "Turakina Maori Girls' College 'devastated' over school closure". Stuff.co.nz. Retrieved 1 February 2016. ^ a b c d e "2013 Census tables about a place: Marton". Statistics New Zealand. Retrieved 1 February 2016. ^ "1996 Census of Population and Dwellings – Census Night Population". Statistics New Zealand. 28 February 1997. Archived from the original on 13 February 2016. Retrieved 1 February 2016. ^ "Weather & Climate". Rangitikei District Council. Retrieved 23 July 2016. ^ "Marton Ross St., New Zealand". Climate-charts.com. Retrieved 23 July 2016. ^ "Climate: Marton". Climate-data.org. Retrieved 23 July 2016. ^ Walters, Laura (8 December 2011). "Marton back on the pitch". Manawatu Standard – Stuff.co.nz. Retrieved 1 February 2016. ^ Dennis, Jared (19 August 2006). "Marton cricket explores its options". Wanganui Chronicle – nzherald.co.nz. Retrieved 1 February 2016. 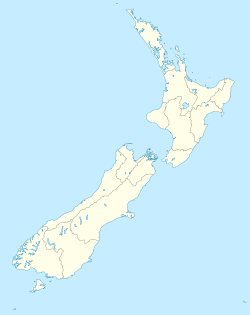 Wikimedia Commons has media related to Marton, New Zealand. This page was last edited on 30 March 2019, at 02:47 (UTC).